Metro Detroiters will have the opportunity to take a spin in an autonomous vehicle as part of SAE Demo Days, being held April 5-7 at Detroit’s Cobo Center. The public demonstration, held in conjunction with SAE International’s WCX conference, is free and open to all, but pre-registration is required. 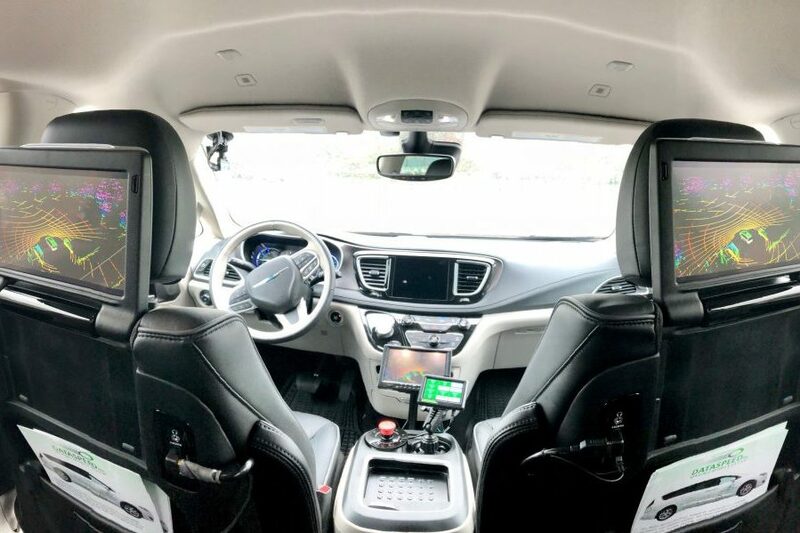 The autonomous vehicles, which will come with human safety drivers, are being provided by Rochester Hills, MI-based Dataspeed, a company founded in 2008 that focuses on “drive-by-wire” technology. Drive-by-wire refers to a platform that allows AVs to control steering, braking, throttle, and shifting. “Sensors are not actually controlling the vehicle,” Heidi Bodell, Dataspeed’s director of marketing, points out. Instead, information from sensors and the car’s artificial intelligence software are sent to the drive-by-wire kit, which translates the information into action via the car’s native software language. Dataspeed drive-by-wire kits are also used in autonomous vehicle research and testing. Bodell says they can be installed in less than a day and require minimal modifications to the car’s parts. Bodell says that Dataspeed works with different types of companies—including automakers and those that sell technology and mobility services—to integrate drive-by-wire kits into their products. Dataspeed’s customers include Lyft, Ford, Baidu, and Nvidia. During the SAE demo, Bodell says riders will be able to “drive” an autonomous vehicle from the back seat. Other interactive displays will allow visitors to experience a distracted driving simulator, use virtual reality to explore self-driving car hardware, and learn about safety technologies that aim to help prevent crashes. Co-sponsoring the demonstration is Partners for Automated Vehicle Education, a coalition of industry members, academic and public-sector institutions, and advocates for safety, mobility, and sustainability, Bodell says.